As the Doctors most recurring enemies the Dalek have encountered more of his companions and friends than any other villain. 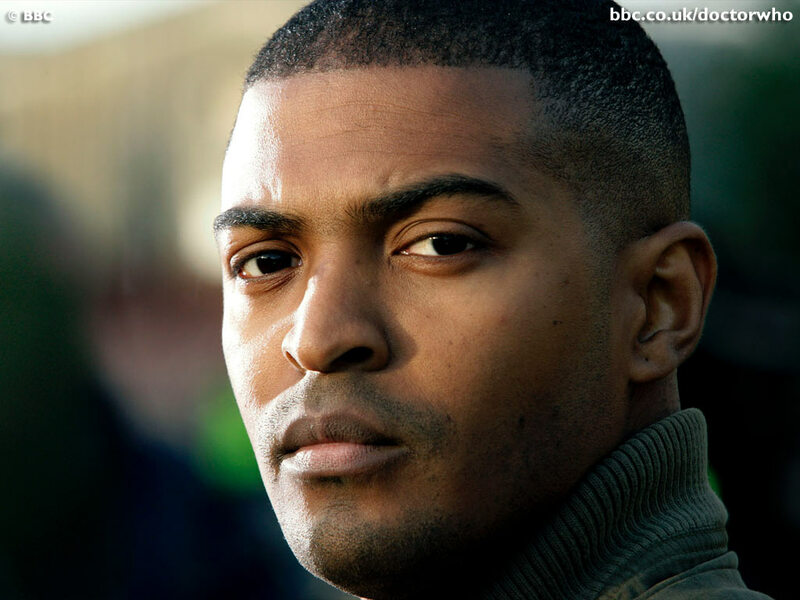 In this article I am going to run through which companions have actually had the pleasure of meeting Skaro’s finest face to face throughout the television series run. 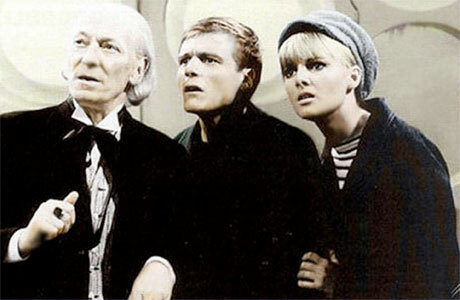 The Doctors original companions encountered the pepperpots 3 times each. Ian and Barbara met them in The Daleks, The Dalek Invasion of Earth, and The Chase. Susan had left by the time of The Chase but she got to encounter them again (lucky her!) in The Five Doctors. She encountered them just once in The Chase. 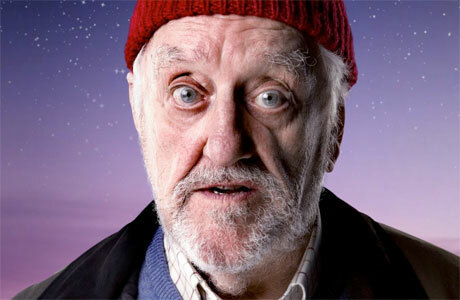 He encountered them 2 times in The Chase and The Daleks Masterplan. She encountered them just once in The Daleks Masterplan that led to her death. She encountered them in her only story The Daleks Masterplan. 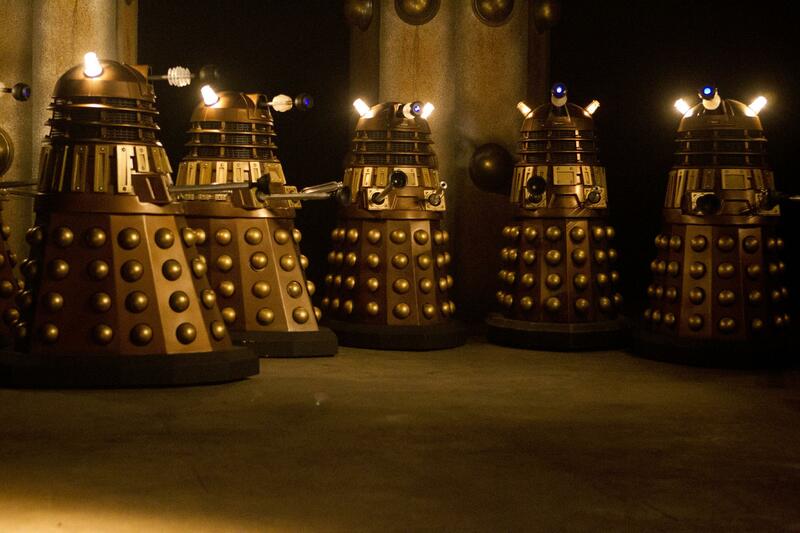 They encountered them only once in The Power of the Daleks. He encountered them just once in The Evil of the Daleks. Frazer Hines who played Jamie said he was always desperate to work with the Daleks, but sadly his character only got one story with them. 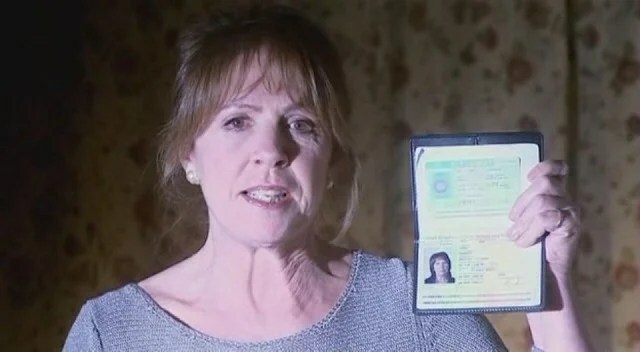 She met them in The Evil of the Daleks where they also killed her father..
She encountered them 3 times, Day of the Daleks, Frontier in Space and Planet of the Daleks. 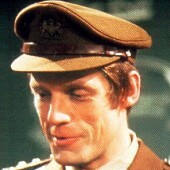 All of the UNIT regulars encountered the monsters in Day of the Daleks. She encountered them in Death to the Daleks, Genesis of the Daleks and The Stolen Earth/Journey’s End. He encountered them in Genesis of the Daleks. She encountered them in Destiny of the Daleks. She encountered them in Resurrection of the Daleks. He encountered them in Resurrection of the Daleks. She encountered them in Revelation of the Daleks. She encountered them in Remembrance of the Daleks. 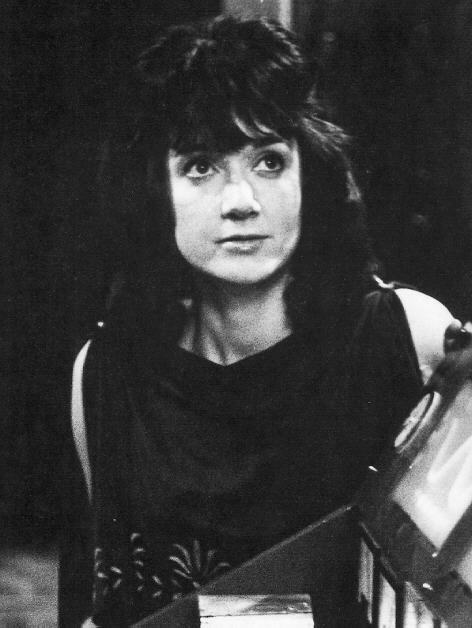 Counting individual episodes as individual stories then Rose encountered the Daleks more often than any other companion in the show’s 50 plus history. She encountered them in Dalek, Bad Wolf/The Parting of the Ways, Army of Ghosts/Doomsday and The Stolen Earth/Journey’s End. 7 stories in total. Captain Jack met the Daleks on 4 occasions. Bad Wolf/The Parting of the Ways and The Stolen Earth/Journey’s End. 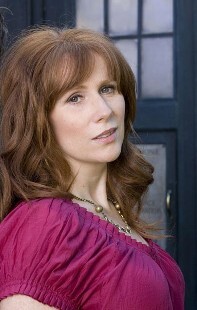 She met them in Daleks in Manhatten/Evolution of the Daleks and The Stolen Earth Journey’s End. She encountered them in The Stolen Earth/Journey’s End. He encountered them in Army of Ghosts/Doomsday and The Stolen Earth/Journey’s End. She encountered them in Army of Ghosts/Doomsday The Stolen Earth/Journey’s End. He encountered them in Army of Ghosts/Doomsday. She encountered them in The Stolen Earth which ended in her death. He met them in The Stolen Earth/Journey’s End. She met them in The Stolen Earth/Journey’s End. She met them in The Stolen Earth Journey’s End. She met them in Victory of the Daleks, The Pandorica Opens/The Big Bang and Asylum of the Daleks. He met them in The Pandorica Opens/The Big Bang and Asylum of the Daleks. She met them in The Day of the Doctor, The Time of the Doctor, Into the Dalek and The Magicians Apprentice/The Witch is Familiar. A splinter of her also met them in Asylum of the Daleks. They both encountered the Daleks in The Day of the Doctor. 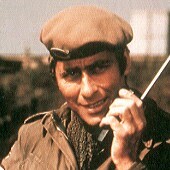 All companions who live in modern day, Jo Grant, Osgood, Kate, Ian and Barbara, Ben and Polly, Martha’s family, Clara, the Ponds, Teegan, Ace and the UNIT family will all have encountered the Daleks offscreen during the events of The Stolen Earth/Journey’s End as the monsters invade the earth and completely occupy it. They may also have encountered them in Army of Ghosts/Doomsday as well. 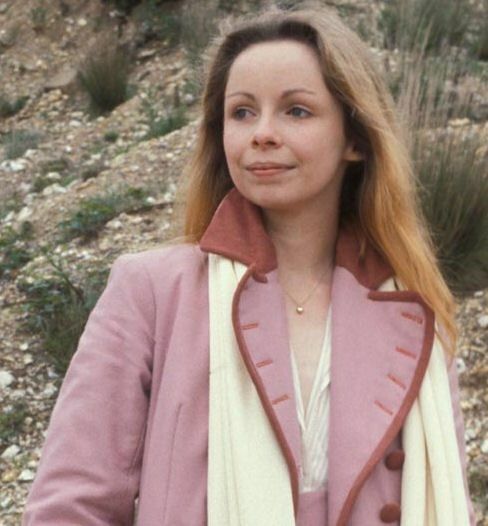 The likes of Susan and Romana meanwhile will have encountered them off screen during the time war too. 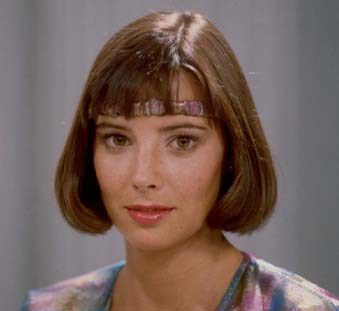 Those who never had the pleasure of meeting the most evil creatures in the universe are Dodo, Zoe, Liz Shaw, Leela, Nyssa, Adric, Mel, K9, mark 1, 2 and 3, The Paternoster Gang and Danny Pink. Out of that lot the only ones who have definitely never met them are Adric and The Paternoster Gang. 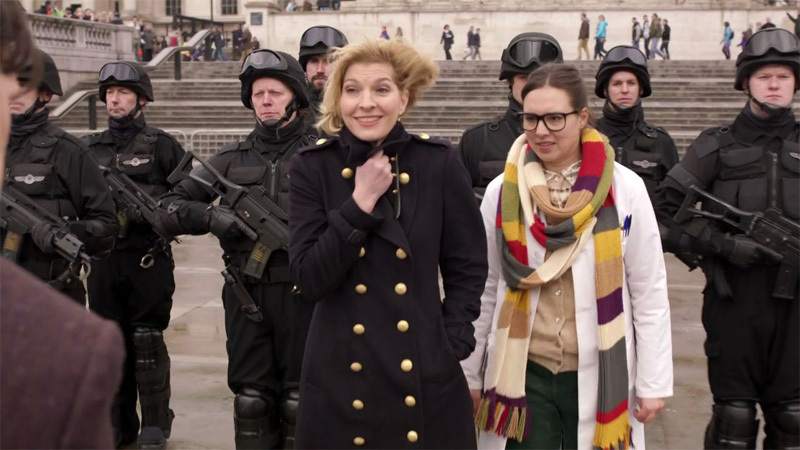 Zoe, Leela, Mel and Nyssa all encountered them many times in the Big Finish audio stories, which according to The Night of the Doctor are canon. Leela also would have met them in the time war offscreen as she was shown to live on Gallifrey alongside K9 mark 1 who also presumably would have met them during the war. 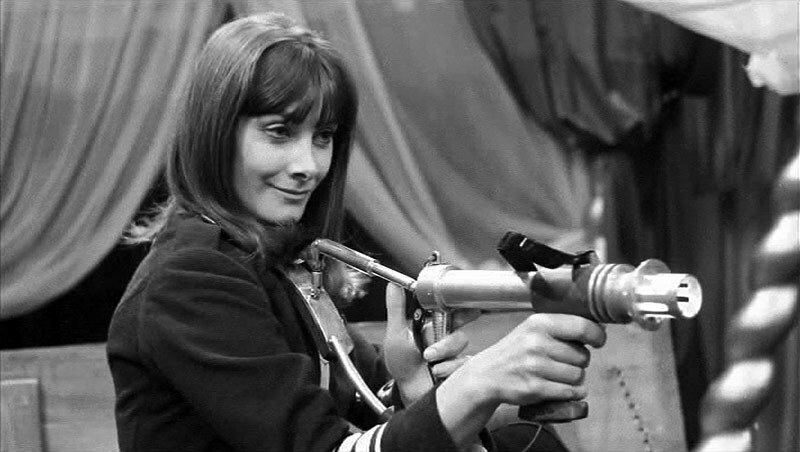 Dodo depending on which ending you follow from her would have met them off screen during the events of The Stolen Earth/Journey’s End as would Liz Shaw and Danny Pink. Adric however has so far never encountered them in an Audio adventure whilst the Paternoster Gang similarly have had no encounter with them in any piece of spin off material. 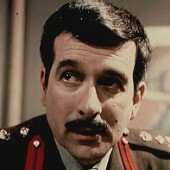 Also unlike say Liz or Danny they would not have been alive during the Daleks stealing the earth either. It is possible that they may have had another encounter with them at some point as in The Snowmen the Doctor casually mentions the Daleks to them as though they are already familiar with them. Though perhaps he has just told them about them in the past. 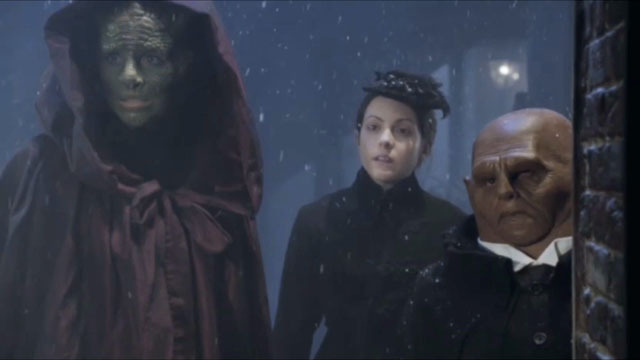 Strax who comes from the future may also have encountered them at some point too, but until we have any conformation of that I am going to list The Paternoster Gang as one of only two supporting characters and companions to never encounter Skaro’s finest. One time companions like Astrid and Jackson Lake never encountered the Daleks either, whilst Adeliade another one time companion did as a child and Lady Christina though not encountering them onscreen would have still met them during the events of the earth being stolen. Ultimately however I don’t really consider these characters companions in the same way as the others on this list hence why I didn’t mention them.